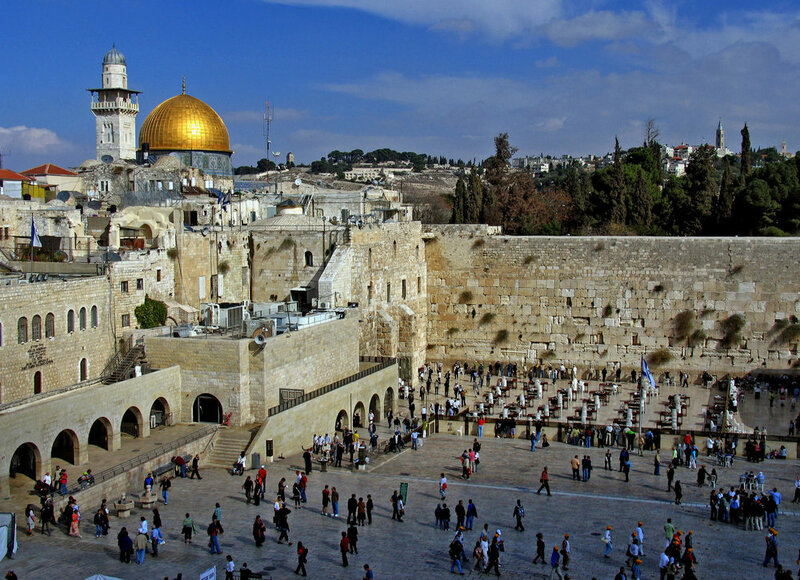 ISRAEL: February 25 - March 8, 2019 "The Life and Land of Jesus" (Program #190203) — Christian Travel Study Programs, Inc. Depart USA for Tel Aviv, Israel. Overnight: In flight. Flights arriving back in the USA later the same day. (Meals en route). FULL TOUR PRICE OF $3999 INCLUDES air from Charlotte NC (CLT), group transfers, hotels, Israeli buffet breakfast and dinner daily, all tips for group services, full sightseeing, the services of an English-speaking local guide and all entrance fees to sites as listed in the program. All taxes and surchcarges in effect as of July 10, 2018 are included. If additional surcharges or taxes are imposed by the airlines or governments, any additional amounts will be the responsibility of the passenger. This price is based on a minimum of 30 passengers. LAND ONLY PRICE OF $2999 INCLUDES all of the above except air and transfers. NOT INCLUDED are personal items such as laundry; drinks or coffee with dinners; lunches, tips for personal favors; excess baggage and forwarding of baggage; transfers other than with the group; optional travel insurance. YOUR ACCOMMODATIONS are based on First Class (4*) hotels using double occupancy in a twin bedded room with private bath. There is a supplemental charge of $825 if you prefer a single room. Individuals enrolling without a roommate may request to be matched with a roommate. In the event that a roommate is not available, individuals will be required to pay the single supplement charge. All single rooms are subject to availability and may be smaller than normal twin rooms. PAYMENT: A nonrefundable deposit of $300 per person, is required to secure your place on the program. (Deposit may be refunded only if CTSP withdraws the offer of the program.) A second payment of $1000 per person is due five (5) months prior to departure. Deposits received within five (5) months of departure require a total initial payment of $1300. Final payment is due to CTSP three (3) months prior to departure. Thereafter, a late payment fee of $100 per person per month will be assessed. *If your cancellation results in a roommate needing a single supplement, that amount will be charged to you in addition to the above fees. All refund claims must be in writing to CTSP. There is no refund for any services not used. AIRLINE ARRANGEMENTS from Charlotte (CLT) are included in the Full Tour price. Air Transportation will be economy class aboard regularly scheduled carriers utilizing non-refundable, non-amendable tickets. Once your ticket has been written, it cannot be rewritten or refunded. YOUR LUGGAGE is restricted in size and shape by the airline, and is limited to one checked piece (max 50#), one carryon, plus a smaller personal piece. You should check with the airline for the specific restrictions. CTSP agrees to provide the itinerary described in this brochure, and this represents the entire agreement between the passenger and CTSP. No changes or deviations are effective unless approved in writing and signed by an authorized officer of CTSP Except as stated herein, no person is authorized to cancel, modify, or vary the study program arrangements (during the course) or to make any representation of warranty concerning the program. CTSP reserves the right to change or withdraw the program, in whole or in part, at any time. In the event of a change, the sole exclusive obligation of CTSP will be to refund pro rata any recoverable payment received, based on recoverable funds. In the event of rescheduling of the program due to unforeseen circumstances, the cancellation and refund clause will apply. CTSP reserves the right to refuse or revoke travel to anyone who is, in the sole judgment of CTSP, incapable of or detrimental to group travel. Use Registration Tab (above) to send in your registration form to us. Remember: You are not full registered until both your deposit and your form are accepted by our office.